Foreign Missions: Is it really a sacrifice? February 13, 2015 12:30 am / 3 Comments on Foreign Missions: Is it really a sacrifice? 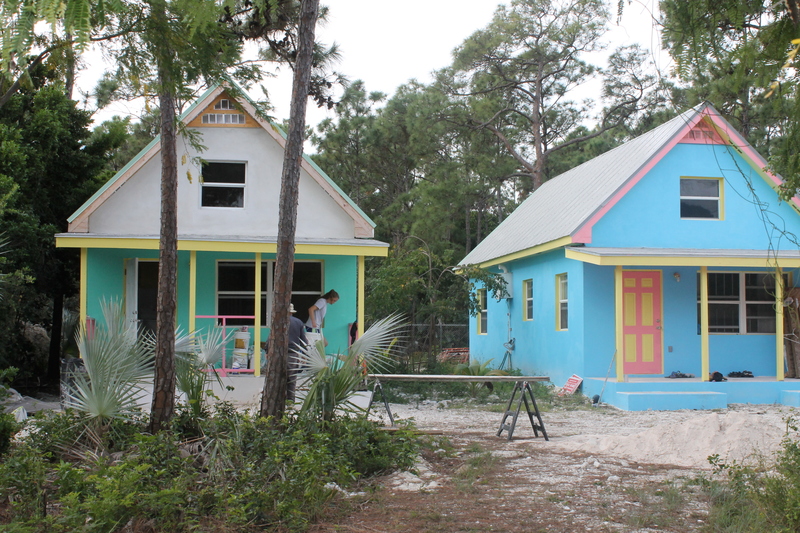 We love the Bahamian people and we love what we do. Because we love what we do, being here is not a burden or sacrifice. Furthermore, we believe our contentment and joy in being here is more than simply liking what we do; it is a supernatural gift from God, a fulfillment of a promise He has made to us in His Word. As the verse above says, we have delighted ourselves in the Lord, and He has given us the desires of our hearts. It is not that He has simply given us what we asked for but that He has transformed our perceptions of what our desires and likes are. Our delight in what we are doing here has allowed us to weather the storms of strained relationships, painful separations, financial hardships, disappointments, loneliness, less than ideal living circumstances, etc. There has never been a time where we have felt like we have been given less than God’s best for us or that we have been deprived of a “good” life. (This is not to say that we have never experienced loneliness and regret for what we used to have because there are times we long for the familiar, “easier” way of life we used to enjoy.) God is good and we feel privileged to be doing what we are doing. Although we can understand why someone else may look at our coming here and what we do as a sacrifice, we do not feel like our coming here to serve the Bahamian people (and those who come to serve Bahamian people) is a sacrifice. This is what God has called us to do. He has not only given us our desires, but He has also equipped us with the tools, the grace and the abilities to do what we are doing. 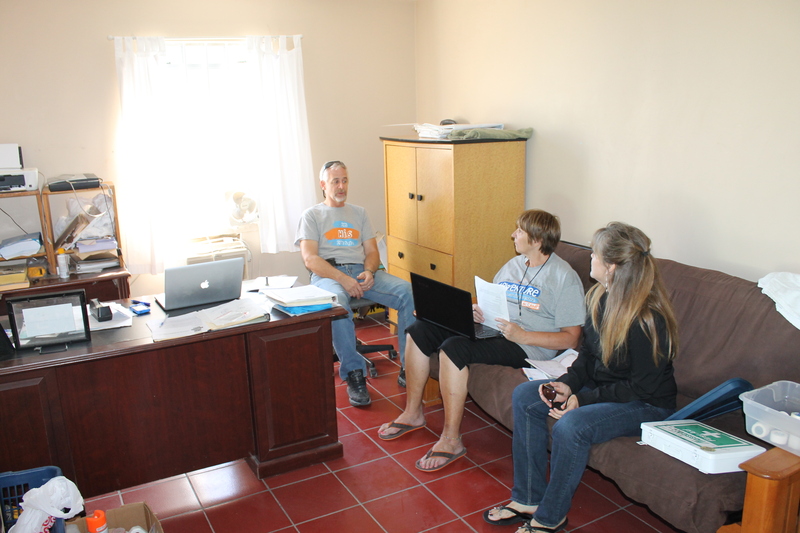 We have been working with and training the Camp’s new office assistant, Janice Armstrong. She has been a huge help to us already, and we are so glad she is here. Bob Balson, who had been filling in at the Centre on maintenance after Tom left last summer, is now back at Camp. Having our own maintenance guy back at Camp is a huge help to Tim. Tim is now able to focus on the office and ministry side of being Camp Director. The new staff cottage is pretty much complete, and the girls are all moved in. The former girl’s staff cottage is now home for Janice and her husband Pat who is the maintenance director at the Centre. Dilan and Laura Van Ryn (new facilitators at the Centre) are currently living in the Camp office apartments. They will be relocating to the Centre’s barn apartment in a month or so. We are reluctant to share this but feel we should so you can be praying with us. We have had some break-ins here at Camp. We think they are just neighborhood kids, but nonetheless, it is still a little unnerving. Please pray that God protects this ministry, all in it and all we serve. We do not feel unsafe, but we are having to be more cautious and active in securing things. Please pray for the perpetrators as well. We would like to extend grace and mercy to these individuals and show them the love of Christ more than anything. We had ninety-seven 8th graders/leaders from Calvary Christian Academy in Fort Lauderdale, Florida on the first trip and ninety on the second trip. The two teams served at the Centre, at local public schools, at All Saints Camp, and did some evangelism activities downtown at the Straw Market. Both these teams presented challenges for us as our facility normally houses around 80 people (comfortably), but the time with them was encouraging. 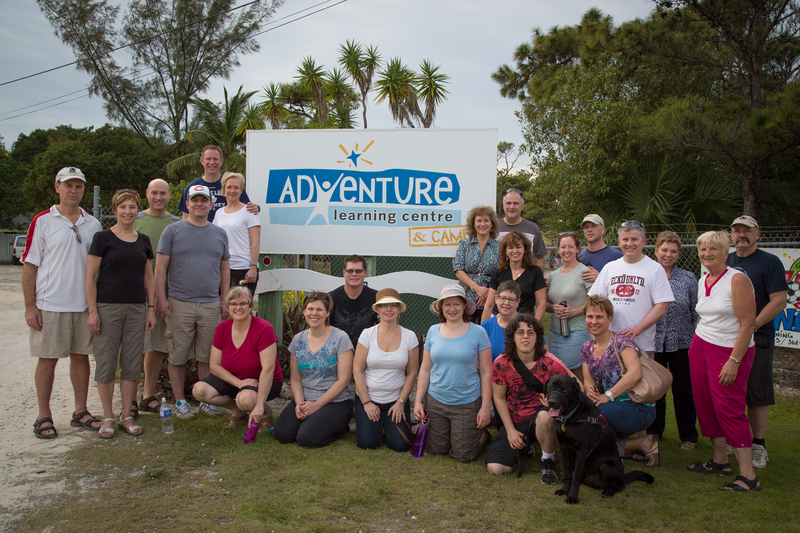 A team of twenty-two from West London Alliance Church in London, Ontario came to serve and minister for a week. They ministered to the children at the Children’s Emergency Hostel and the Adventure Learning Centre, served and ministered to the people of the All Saints Camp and Great Commission Ministry, helped Faye with cleaning projects around Camp and worked on a construction project here at the Camp. They were such a blessing to the people they served and to all of us here as we got to fellowship with them and receive a huge gift from them: a screened porch on the Camp house. We have a couple of local groups coming over the next couple of weeks. Our next mission teams come the last day in February. But this weekend we are hosting a young man that is on the island preparing for the team he will be leading here in May. We have been showing him the Bahamas and introducing him to potential ministries for service. We have begun Friday night Youth Outreach on the first and third Friday of each month. Teddy and Yvonne Bootle, Moya Strachan and Janet Strachan along with many of our staff and other former Joy Bible Camp staffers/campers have been working together to minister to Bahamian youth grades 7-12. We have enjoyed working together and have had great nights with the youth attending the outreaches. Praise the Lord. God has provided for our needs with a couple of new financial supporters. We are grateful for the added support and have been able to increase our support thermometer to reflect the increase. What a blessing and encouragement it is to us. Since we are still deficient in our monthly support goal, if you would like to partner with us and support us in the work we are doing here in The Bahamas, you may do so by clicking on the “Support/Donate” link here or the “Shepherd’s Staff Mission Facilitators” link in the side bar. Any amount of support is greatly appreciated. Praise the Lord. This past week we found and applied for a medishare program that is similar to health insurance. It is not insurance but rather a program where Christians share each others medical bills. It satisfies Logan’s requirement to be insured (Obamacare and University of Minnesota approved), provides us coverage for catastrophic medical events, and gives us peace of mind knowing we are covered. The price tag is about $200/month cheaper than what we were going to have to pay through our former plan, and for that we are very grateful. 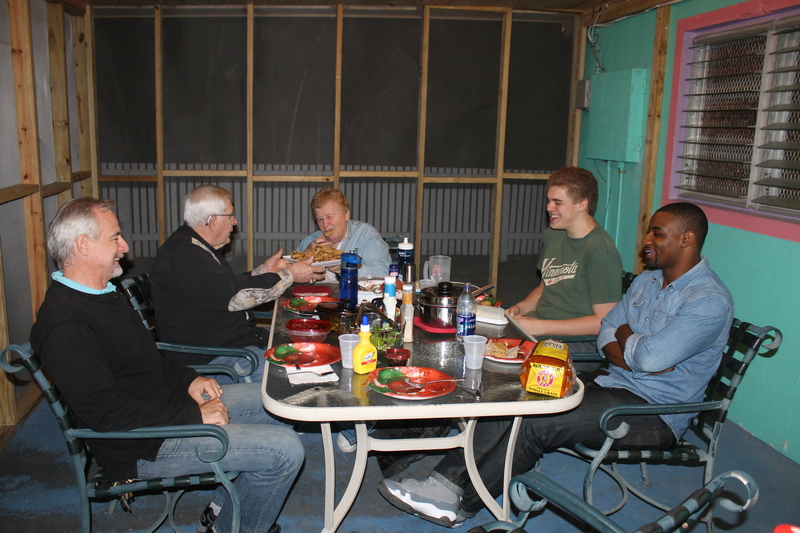 We invite you to check us out on Facebook (The Seeley Family Serving in the Bahamas). We provide regular updates of what is going on here, so it is a great way to keep up on the latest Bahamas/ALC&C news. We invite you to check out our last blog (link: “Two Years in the Bahamas, now what?“). In that blog, we shared our vision for the next year. Could you please check out our prayer requests and pray for us? We could really use the prayer. We remain busy, and during this time of transition with training new staff, we are finding ourselves a little more stretched. God is good and continues to sustain us, but we are feeling the pressure. Because we did not post pictures since the beginning of December, the picture update this time around is long. You may access the picture update page from the tab above or the link below.